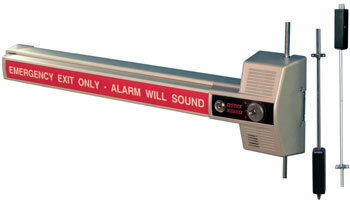 The ECL-230X-TD and TB models are code compliant, battery alarmed, rugged 2 point dead bolt, panic devices with photo luminescent sign providing maximum security and a 100 dB alarm for secondary exits. 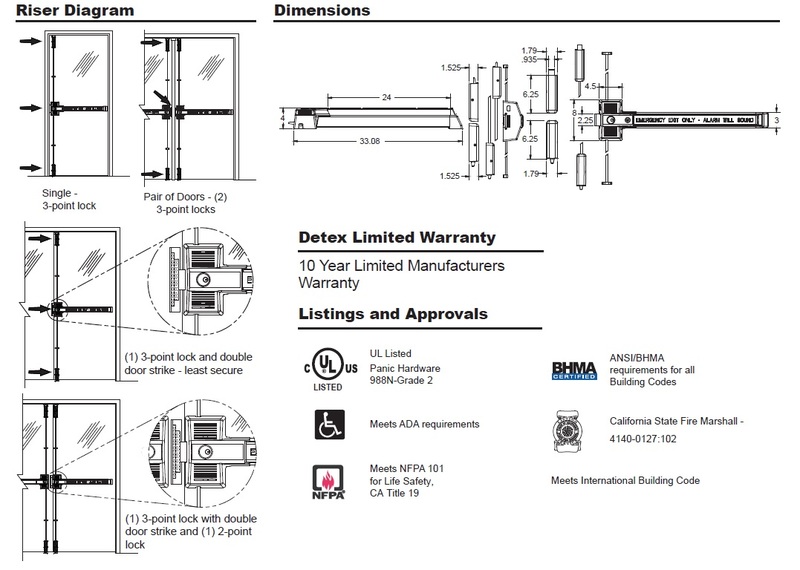 Door Height: Required*** 84" 96" 120"
Locking and unlocking the dead boilt always arms and disarms the alarm. 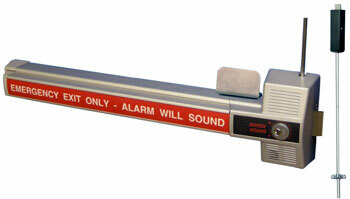 Resetting of the alarm can only be accomplished with a control key.